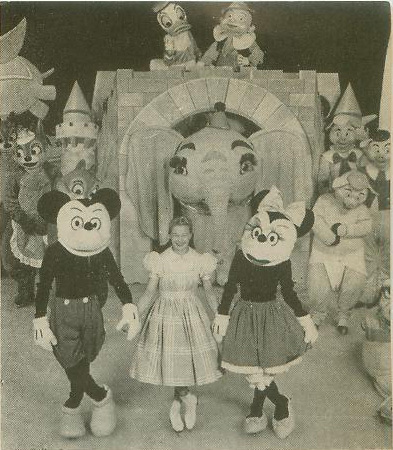 A vintage promotional Disneyland photo, circa 1960. 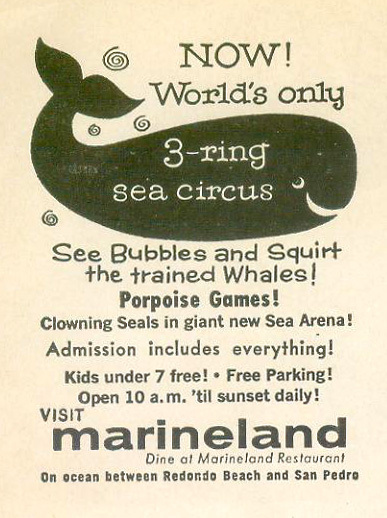 An ad for Marineland in the December 25, 1959 to January 1, 1960 issue of This Week in Los Angeles. 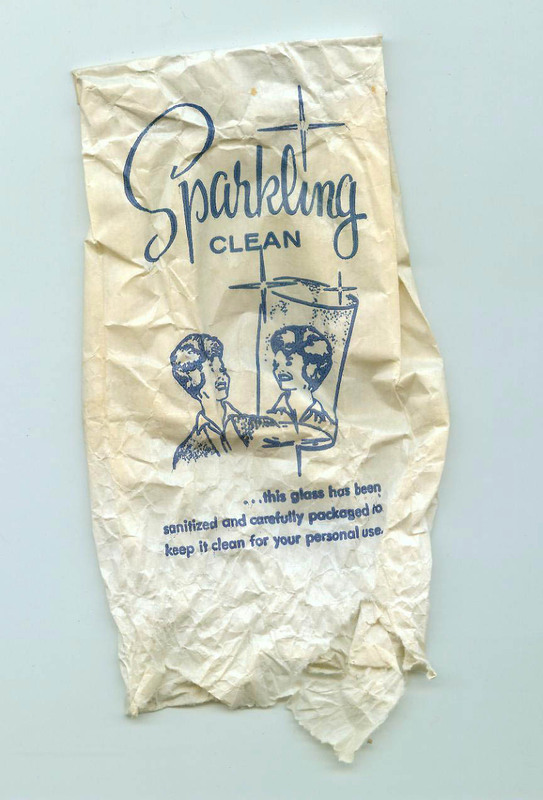 Circa 1960s, this is the paper wrap that went over your drinking glass in a hotel or motel. When I grabbed this from the china hutch at that estate, I thought the original glass was still in it; but it turns out there was some powdery stuff the husband thinks was “some sort of ash from a volcano” — “like from Hawaii or something.” OK. But since I accidentally dumped most of it on my floor in my ignorance to its existence… The vacuum got it. 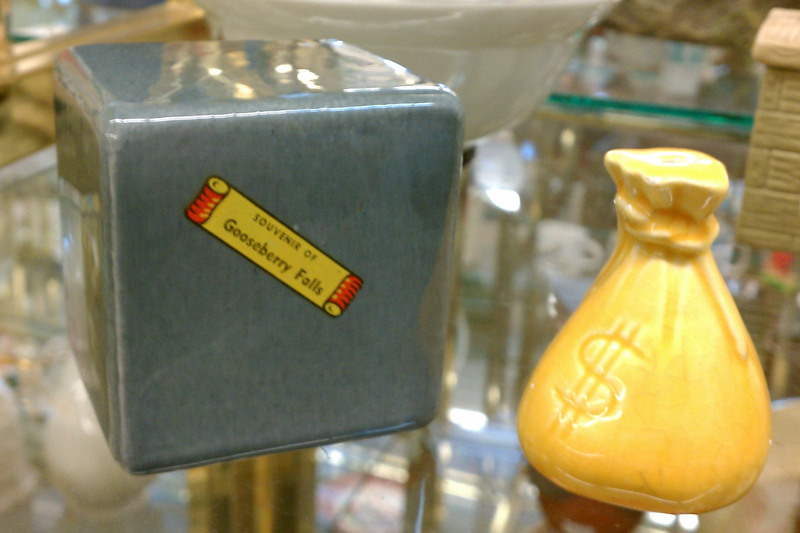 Kitschy vintage salt and pepper shakers, souvenirs from Gooseberry Falls. 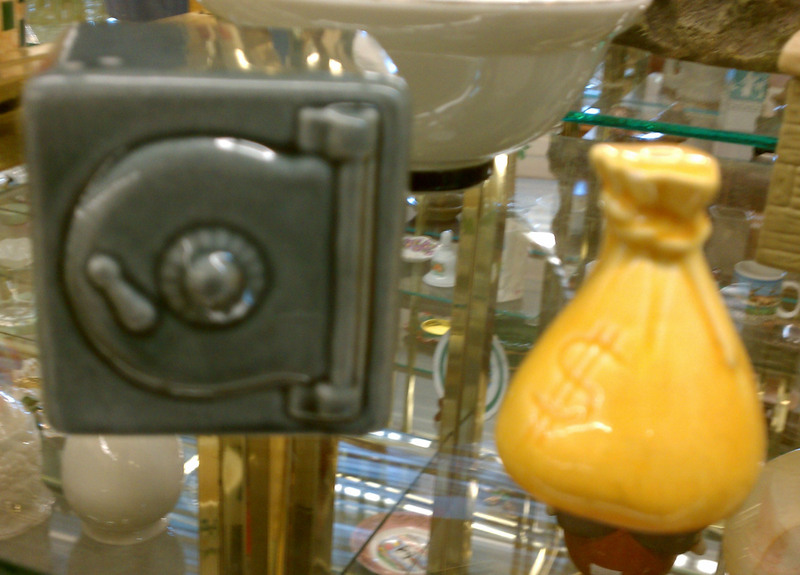 One in the shape of a safe, the other a golden moneybag, it may have some political statement when the rise of tourism in the 1920s created a concern that the area would be accessible only to the rich. 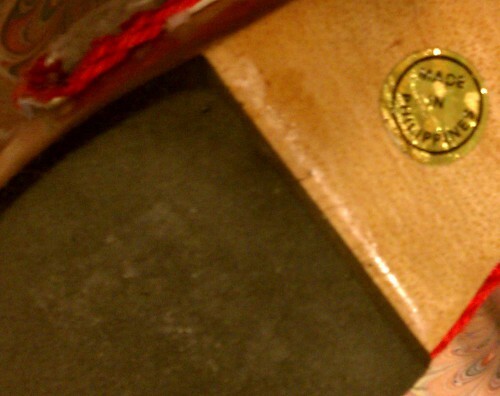 Vintage Shoe From Puerto Rico? You’ve seen the old classic t-shirts making fun of a family member going somewhere and only bringing back a lousy tee-shirt (which brings to mind this great twist on the joke), but you may not laugh at the shirts after seeing this gem. 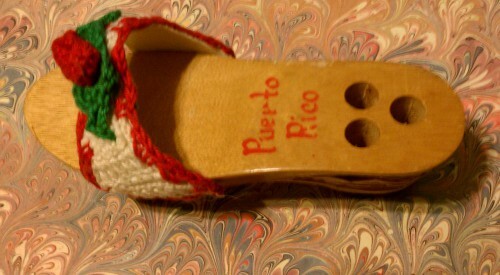 A small wooden shoe or sandal, with a crocheted vamp, marked “Puerto Rico”. 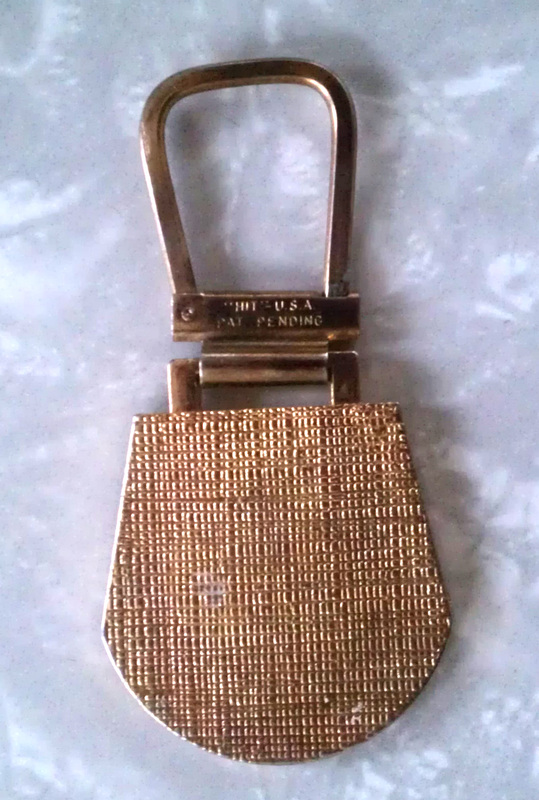 Perhaps an odd little souvenir, especially with a trio of holes (presumably to hold pencils? 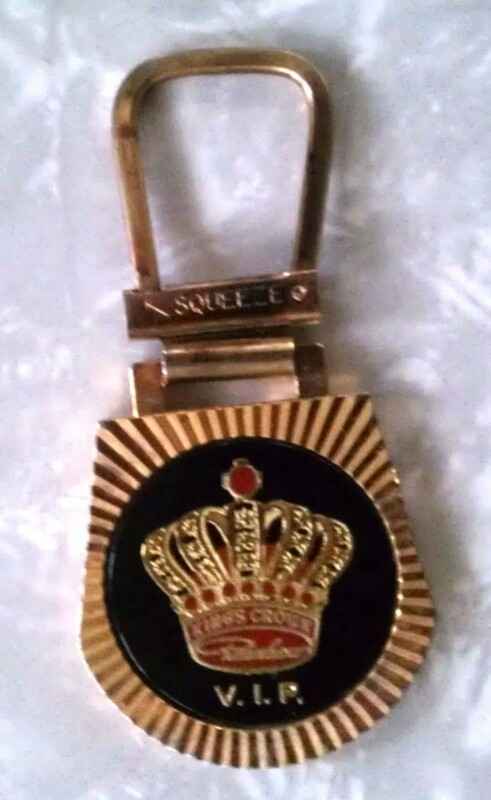 ), but the real kicker is the sicker on the bottom… Made in the Philippines. The fun-tastic photos of the Enchanted Forest at Clarkland Farm from Lucinda Lunacy have me itching to take a family vacation… Located in Ellicott City, Maryland, the theme-park-slash-petting-zoo will open on Saturday, March 31, for the 2012 season. Remember back, when the Internet was young, and the most fascinating thing was to search for the exotic… Finding pages published by people far away from you, on subjects and things you’d never heard of before. Now, one of the most important things is to find things right in your own backyard. 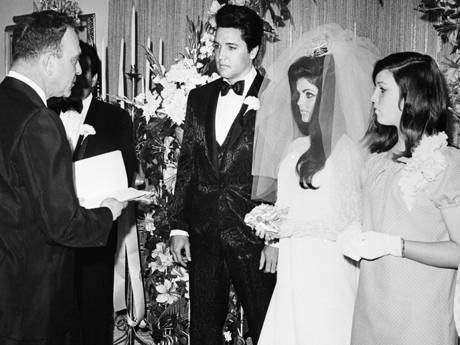 Things you know about — enough to want, anyway. If the price is right. Things you want, and at the best price; thanks, Internet. Sure, some of the exotic thrills are still a large part of our daily Internet use. 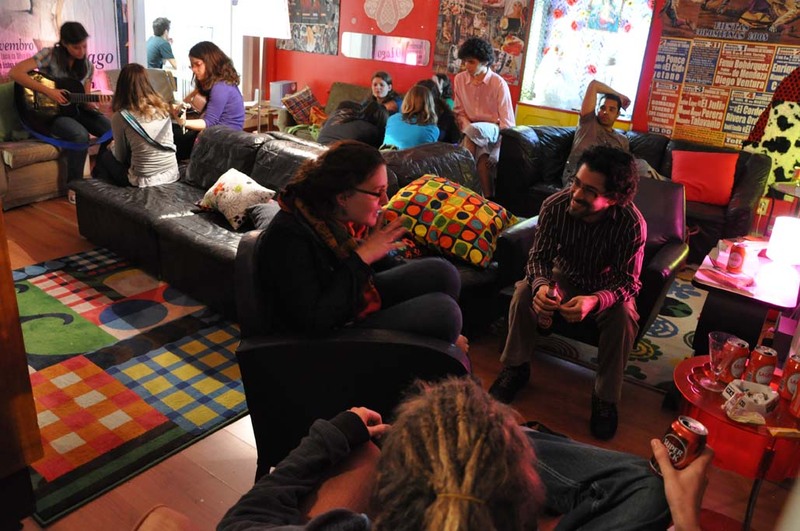 But beyond the entertainment and educational value, so much of our time is now spent comparison shopping — and we seek the added bonus of supporting our local economies. Well, maybe it’s just the convenience of saving on shipping combined with the instant gratification of a local pickup. Tomato, tomatoe; the results are the same. I was tooling about such a place, www.CentrSource.ca, “Things you love, where you live.” Unexpectedly, however, I found myself discovering the delightful Kitsch Hotel, a youth hostel in Lisbon, Portugal. 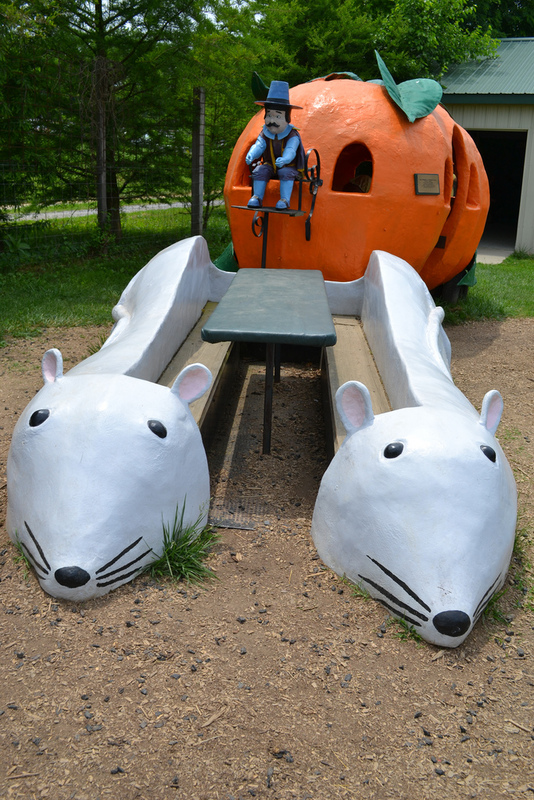 It’s not near home, but it is a thrifty way to travel. 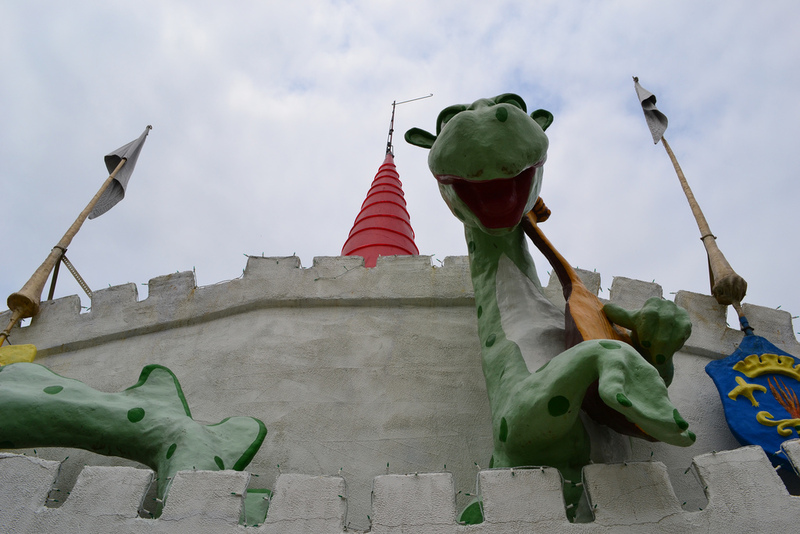 And it’s loaded with kitsch! 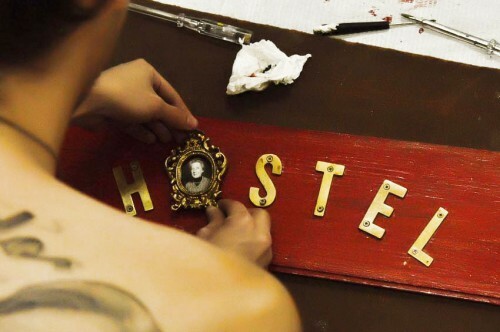 Photos via The Kitsch Hostel Blog. A number of clever ideas seen here sent me back to CentrSource for project supplies. 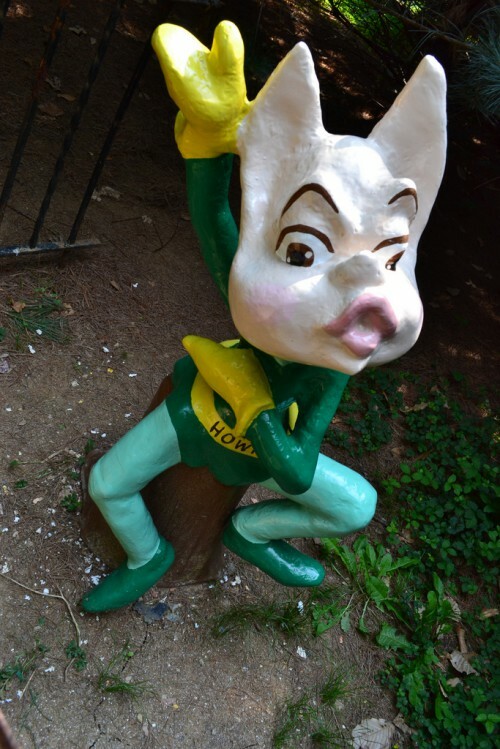 …Ah, the circle of kitsch. 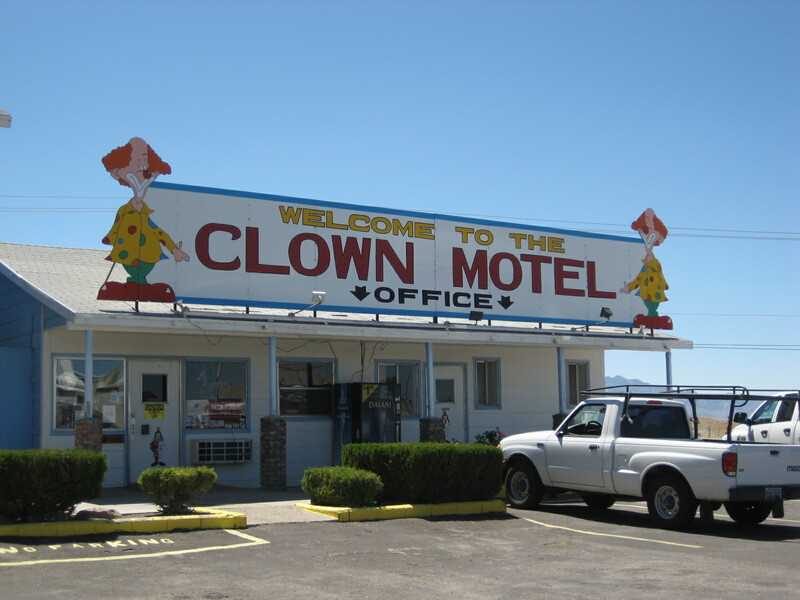 At Nevada’s Clown Motel. 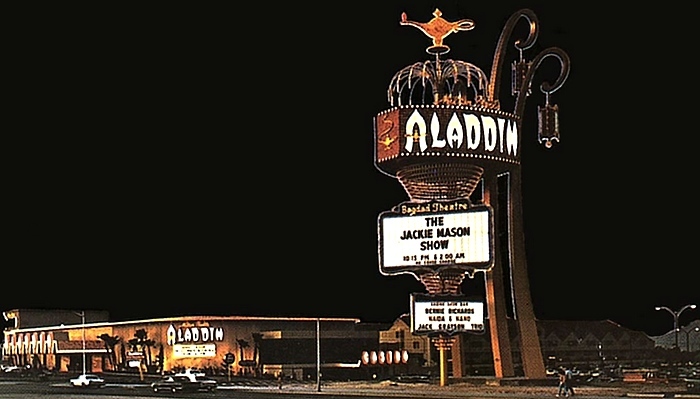 If you’re brave, or just foolish, check out Cheetah Velour’s post to see lots more frightening photos of the joint. I realize that clowns make some people uneasy & that’s ok. I’m not judging. If you can’t handle looking at clowns, there is always the cemetery across the parking lot. 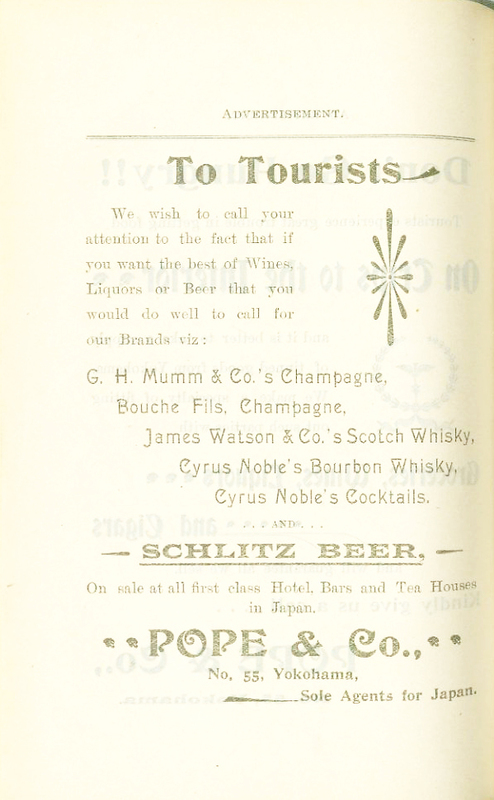 I’ve posted lots of ads and information from this antique Japan travel guide, but I had to share this pair of advertisements from Pope & Co., who don’t want you to go hungry! I guess their solution is for you to be good and drunk on trips to the interior. I guess numb will keep you dumb to your hunger, so drink up the champagne, the whiskey and the beer! 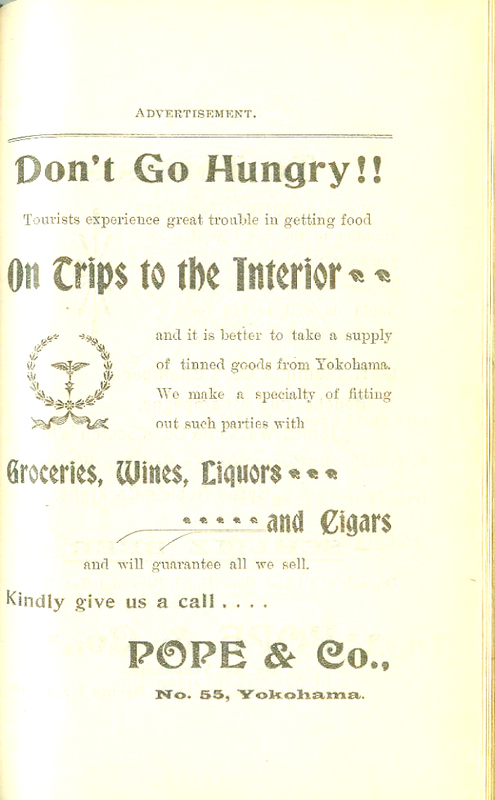 And cigars; smoke ’em if you got ’em — and if you don’t have them, buy them from Pope & Co.